Nintendo have revealed that they plan to “boost the appeal” of Switch Online. The announcement follows news that the number of subscribers only prepared to commit to short term contracts – one and three months – is growing significantly faster than one year commitments. 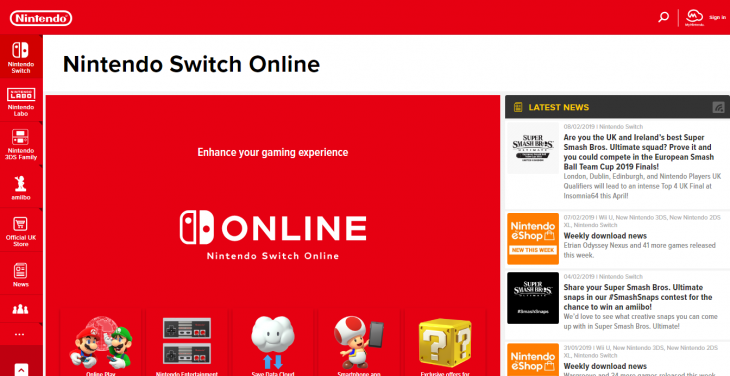 Switch Online has by no means been unsuccessful for Nintendo – the company currently count eight million subscribers – but the company’s president Shuntaro Furukawa made clear at a recent question and answer session that he believes they can do more. Some would argue that it is high time Nintendo took a close look at the online component of their business. One of the few criticisms of the Switch at its launch was the lack of a coherent vision for connected play. Many considered this a startling omission in an age where the internet and online gaming has become such a huge part of the console market. Nintendo have always liked to do things their own way and will, rightfully, point to the overall success of the Switch launch, but is it notable that they’re set to address Switch Online following a recent lowering of their sales targets? The Switch sales forecast for the current fiscal year has dropped from 20 million to 17 million units – despite the runaway success of Super Smash Bros Ultimate, which became the fastest selling Nintendo game ever in the pre-Christmas period. Nintendo will hope that an improvement in Switch Online generates higher subscriptions and helps sustain the impressive momentum the console has built up.